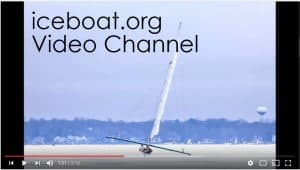 What an impressive shot for Harken’s monthly digest showcasing Steve Orlebeke’s Class A Skeeter, HONEYBUCKET and Paul Krueger’s RAMBL’N sailing on Lake Monona, Madison, Wisconsin. “I’m looking out my door onto the engineering section in the Pewaukee Harken offices. It’s almost the end of 2017 and a logical time to look ahead toward next year.” Continue reading.